This level have normal difficulty and you need to use good strategy to complete this level. 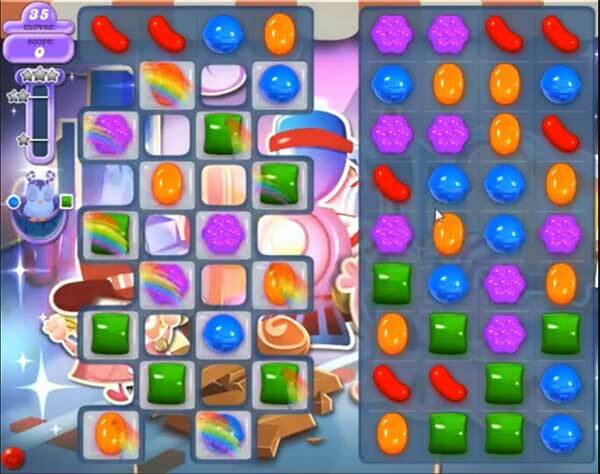 For this level you should try to play from right part of the board and make striped candy with colorbomb or with wrapped candy to break the jellies or left part of the board. Try to make more special combo on moonstruck that you will get after 17 to 15 moves remaining. Now that ads are taking over all the help with candy crush, and the walkthrough is so fast and tiny, it is impossible to see and understand. Therefore I give this help site a 0000.